Home › Miscellaneous › Who do you want to see as Health Minister? 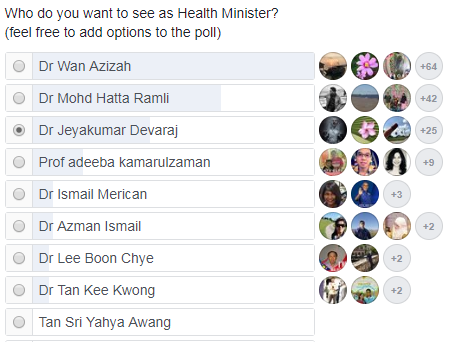 Who do you want to see as Health Minister? Now that the dust from the 14th General Elections is settling, the new cabinet is being formed. We shall be having a new Health Minister who hasn’t been announced yet. Who is your choice of Health Minister? Note that the above is just a screen shot and not the actual poll which is ongoing in our forums.